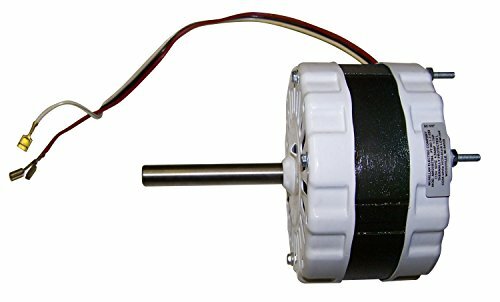 Phoenix Manufacturing 05-007-0035 1/8 HP Evaporative Cooler Motor, 2-Speed, 120-Volt. Phoenix Manufacturing's 1/8 HP, 120-Volt, 2-Speed evaporative cooler motor is built for reliable, long life performance and can be used for a new cooler or as a replacement motor for an existing unit. It has 2-speeds (1000 RPM and 710 RPM) which allow control for specific comfort levels. Features and benefits; 1 year warranty, 1/8 HP, 120-Volt, 2-speed direct drive motor - permanently lubricated ball bearings, thermally protected - CCW rotation - class B insulation, corrosion-resistant steel construction for durability and long life, and automatic thermal overload feature protects against overheating - UL-recognized components for safety (motor works in; WH2902, WH2903, WH2904, WH2905, WH2906 and HW28 PMI models). When selecting the HP for an evaporative cooler motor, always follow the cooler manufacturer’s recommendation. If you have any questions about this product by Phoenix Manufacturing, contact us by completing and submitting the form below. If you are looking for a specif part number, please include it with your message.